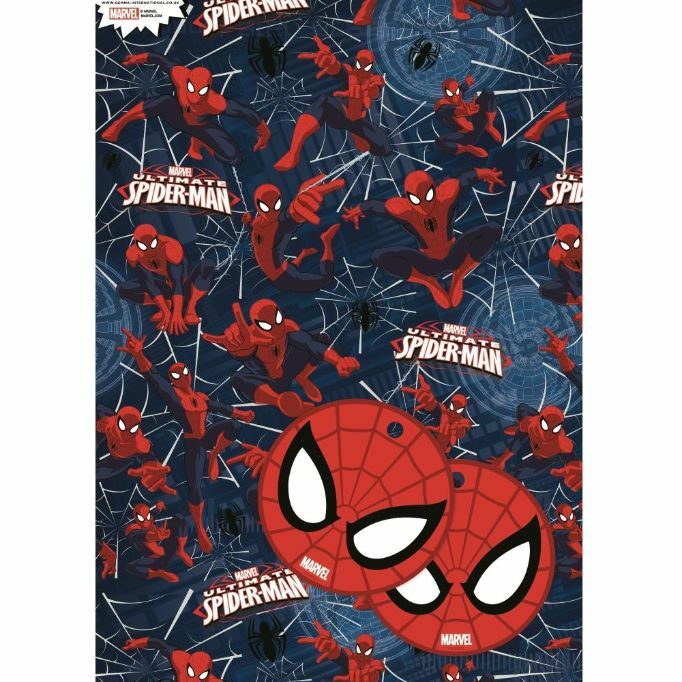 Ultimate Spiderman Blue Gift Wrap Pack each pack includes 2 Sheets of Gift Wrap and 2 Gift Tags. Design features Ultimate Spiderman Blue print. Inspire your little one on their Birthday and at Christmas with Ultimate Spiderman Blue Gift Wrap! More matching Ultimate Spiderman Blue Themed Party items and Gifts are available in our shop.